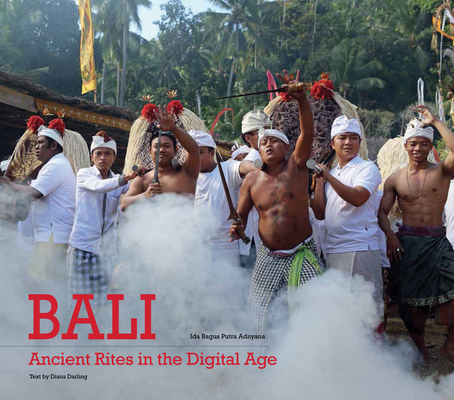 Bali: Ancient Rites in the Digital Age is a personal portfolio of work by the photographer Ida Bagus Putra Adnyana--offering a close view of rituals that few people have seen, often in remote villages of the island. The Hindu Balinese ceremonies described by author Diana Darling cover rites of passage and the rituals of death as well as those devoted to the gods, to the lower spirits, and the initiation of priests. As a Balinese from a Brahmana priestly family, Adnyana brings an insider's knowledge of his subject, and he is often granted exceptional access to rare ritual ceremonies. Thus, he is able to photograph with the highest possible intimacy. Ida Bagus Putra Adnyana is a classicist of Balinese photography, whose subject has always been the beauty and power of his native Balinese ritual culture. He was born in 1958 in Denpasar, Bali. After studying law, he decided in 1984 to devote himself to photography, and was soon in demand as a professional photographer. I. B. Putra Adnyana has group-exhibited widely in Bali and Jakarta, as well as in Frankfurt and Japan, and has won many prizes. His photographs have been published internationally in numerous books and periodicals. Diana Darling is a freelance writer and editor who has lived in Bali since 1980. She is the author of The Painted Alphabet: a novel based on a Balinese Tale and is a former editor-in-chief of Latitudes magazine.